Oh look I’m starting another podcast! This one is based on the crowd funding website KickStarter. I’ll take this time to introduce my co-host for this show Isaac. I’ve known him for quite some time and both of probably spend way too much on time looking at projects on KickStarter. 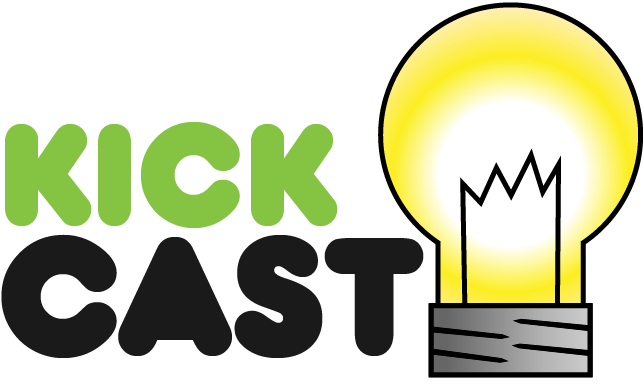 Our goal with this podcast is to find and discuss awesome projects we find on KickStarter and other crowd funding websites. You might also notice that this is a beta 2. We are still working out kinks and refining things so this is why it’s still a Beta. The plan is to have at least one more Beta episode before we ship a fully packaged video/audio podcast. Now to the part of why this is beta 2. Isaac and I recorded a Beta 1 also but we ran into a whole bunch of technical difficulties and what we got out of it looked bad on video. I decided not to post it because it was no where close to being what we wanted (think more alpha than a beta). Maybe some day you guys can convince me to post it. Since this podcast is still in beta, we are looking for some feedback. Please feel free to email us any kind of feedback, good or bad, to kickcast “AT” ktdata.net. We hope you enjoy the podcast, Isaac and I have a blast making it!